Long before the nineteenth century, Anthrax (from Greek anthrak = coal, carbuncle. LME, OED) was known as an ancient epidemic disease primarily affecting cattle, sheep, and occasionally humans. It was known by a variety of names drawn from its presenting symptoms. From the black lesions on the skin it became known in France as le charbon (= carbon, char), with the later identified bacterium likewise termed "Bacteridie du charbon". From the enlarged spleen and oedema the British knew it as "Splenic Fever" and "malignant oedema", which to the Germans was Milzbrand (= spleen inflamed). Also in Britain the skin lesions were called "malignant carbuncle" and later "malignant pustule", which in France was le Pustule Maligne: and le furoncle. Transmission to humans could occur in certain rural and early industrial occupations, leading to newer names such as "Wool Sorter's disease" and even "Bradford disease" from the prominent Yorkshire center of the woolen trade. This latter form of anthrax was a "pulmonic" or pulmonary disease. Almost invariably and rapidly fatal, it was known in German regions as Hadern Krankhei (= Quarrel Illness). CF: 213 citing Paltauf, Eiselsberg and others. The bacteriologist Davaine (1863) in Paris, who improved upon the 1849 observations of Pollender and Brauell, described the small rod-like organisms lying motionless in the blood of affected animals. Davaine coined the biological name Bacillus anthracis after the style of Ehrenberg, a pioneer of bacteriological classification c.1830. Attempts to demonstrate the causal pathway between organism and manifest disease conclusively proceeded slowly, and it was left to Koch (1876) to publish the first such proof. Koch made the anthrax bacillus his prototype model agent and basis for a modern bacteriology via his carefully conceived and rigorously applied four "Koch's Postulates" of etiology and practice. Within a year Koch's findings were confirmed by Louis Pasteur and Joubert (1877). 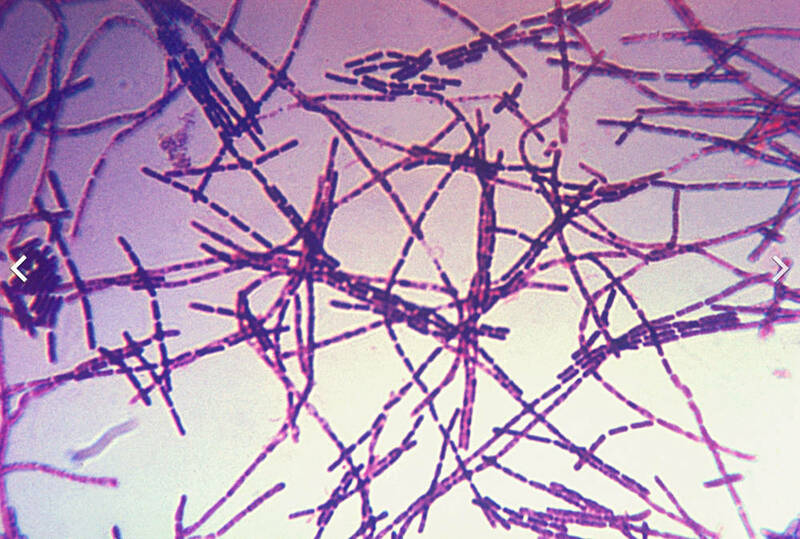 The anthrax bacillus soon became one of the best-known and most thoroughly investigated microbes. Under suitable conditions the non-motile rods were seen to grow by segmentation to form long filaments and threads, which stained well with methylene blue and other basic aniline dyes, and also with the Gram stain when carefully applied (see Muir & Ritchie: 333 citing McFadyen, Heim, Graham Smith and others). An aerobic and facultative (non-obligatory) anaerobic organism, the anthrax bacillus grew slow and was readily destroyed by gastric juices. In hostile conditions Bacillus anthracis produced encapsulated, highly resistant spores that could remain viable for some years under dry conditions. In addition, they survive in boiling water for 5 minutes and in dry heat to 140 degrees centigrade for several hours (op. cit. 336-37 after Koch). Inhalation of dry spores was especially dangerous, and much early work in sanitation and hygiene was devoted to effective means of disposal of animal carcasses, blood, and the sterilization of work-clothes. Deep burial and quicklime in quantity were recommended for dead animal disposal, and for operatives (in the absence of rubber-gloves, which had not yet been invented) thorough hand-washing with solution of corrosive sublimate (mercuric chloride) or Lysol (phenol, carbolic acid). A toxin-theory of action for the progress of the disease was soon developed, to account for the acute and rapid onset with often fatal systemic outcome. Substances were isolated from affected blood and cultures, and variously termed "proto-albumose, deutero-albumose, traces of peptone and alkaloidal bodies", Sidney Martin (1890-91). Other workers discounted the protein-albumoid/albuminoid component, and generalised the toxic effects to more universal processes of inflammation and oedema (Muir & Ritchie: 344 citing Hankin, Marmier and others). Immunisation against anthrax was pursued by Pasteur from c.1880-82, and developed further by Marchoux, Sclavo, and Sobernheim, with Germany and Brazil attaining notable results, ibid: 347. 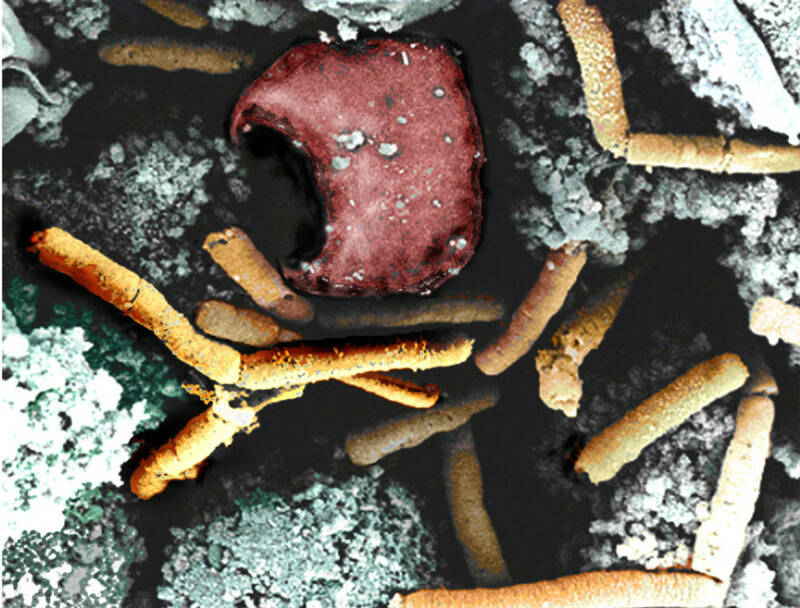 Other bacteriologists contributing to anthrax studies included Toussaint in France, Gaffky and Loeffler in Berlin, Chamberland and Roux in Paris, Hueppe and Wood and numerous others (CF: 211). Chambon, M.. Traite de l'Anthrax, ou de la Pustule Maligne. Paris: Belin. 1781. Vergnies, F.A. . Traite de l'Anthrax non-contagieux...ses rapports intimes avec le charbon ou anthrax contagieux, la pustule maligne et le furoncle.... Paris: L'Auteur, Lucas & Bechet. 1837. Davaine, C.. Traite des entozoaires et des maladies vermineuses de l'homme et des animaux domestiques [Treatise on entozoons and verminous diseases of man and domestic animals]. Paris: Bailliere. 1860. Before the rise to prominence of Pasteur and of Robert Koch, Davaine was one of the foremost pathologists-parasitologists of the time. Koch, Robert. "Untersuchungen uber Bakterien: V. Die Aetiologie der Milzbrand-Krankheit, begrundet auf die Entwicklungsgeschichte des Bacillus anthracis", Beitrage zur Biologie der Pflanzen: 2 (2): 227-310 (1876). [Investigations into Bacteria: V. The etiology of Anthrax, based on the ontogenesis of Bacillus anthracis]. Cohn's Journal of Plant Biology. This was Koch's classic paper and the beginning of modern bacteriology as a rigorous discipline. Pasteur, Louis, and J.F. Joubert. Charbon et Septicemie. Paris: Masson. 1877. The work which marked Pasteur's advance from the chemistry of fermentation of wines and beer, to microbiology and medical research. In these new studies Pasteur also discovered the anaerobic bacterium "Clostridium septicum". Greenfield, W.S. , and J. Burdon-Sanderson. Reports on "Anthrax": Collected offprints on Splenic Fever. London. 1879. Burdon-Sanderson, J. “Experiments on "Anthrax" at the Brown Institution, 1878. Journal of the Royal Agricultural Society of England”, 16.1 (1880). Pasteur, Louis. Comptes Rendus. Academie des Sciences. xci: 86, 455, 531, 697; xcii: 209 (1880-82). Cited by Muir & Ritchie: 660. Klein, Emanuel Edward , FRS. Further Report on the Relation of Pathogenic to Septicaemic Bacterias. Illustrated by Observations on "Bacillus anthracis". 12th Annual Report of the Local Government Board, 1882-83. London: Houses of Parliament. 1883. A practical field-test of Pasteur's inoculation/immunisation of sheep. At the same time, Pasteur & Chamberland were testing "Le charbon et la vaccination charbonneuse." In England, Klein also tested Bacillus anthracis with perchloride of mercury; and c. 1888 with iodate of calcium (calcium iodate). Martin, Sidney. Reports of the Medical Officer of Local Government Board: 255. (1890-91). Cited in Muir & Ritchie: 660. Increased Outbreaks of Anthrax. Annual Report of the Veterinary Dept. for 1883. London: HMSO Board of Agriculture. 1893. This publication dealt with symptoms, disposal of carcasses, cleaning and disinfection. A further report was authored by Sinclair in 1896, London; and by the U.S. Dept. of Agriculture. CF. Fraenkel, Carl. Bacteriology. English trans. by J.H. Linsley. Edinburgh: Young J. Pentland. 1891. Robert Muir and James Ritchie. Manual of Bacteriology. London & Oxford: Hodder & Stoughton/Henry Frowde. 5th revised edition. 1910. The period saw rather elevated use of controversial animal studies (vivisection). Thus, with test inoculations in guinea-pigs or mice: "If anthrax bacilli are present, the animal usually dies within two days, with the changes in internal organs already described. The diagnosis of an organism as the anthrax bacillus cannot be said to be substantiated till its pathogenicity has been proved", Muir & Ritchie: 349.